Posted on July 8, 2018 by Ching under Food and Drink. I got to hang out with the Knowledge Management team in Raytown on my last full day in Kansas City. 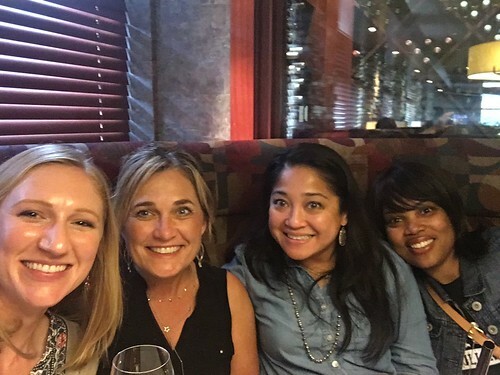 From left, Aaron, Joy, Molly, Kristy, and Mary Ann. 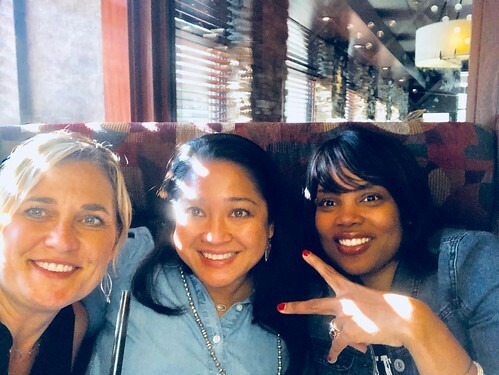 Later that night, a few of us got together at Seasons 52 for happy hour. 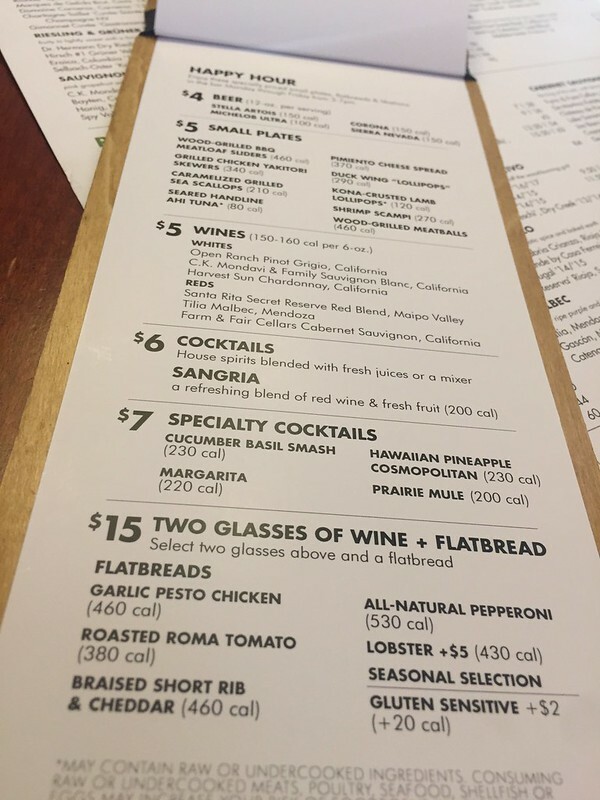 I picked it because (a) I’d never been there before, (b) they had $5 small plates and two glasses of wine and a flatbread pizza for $15 during happy hour, and (c) happy hour there lasts until 7 pm, whereas it usually ends at 6 pm at most places. 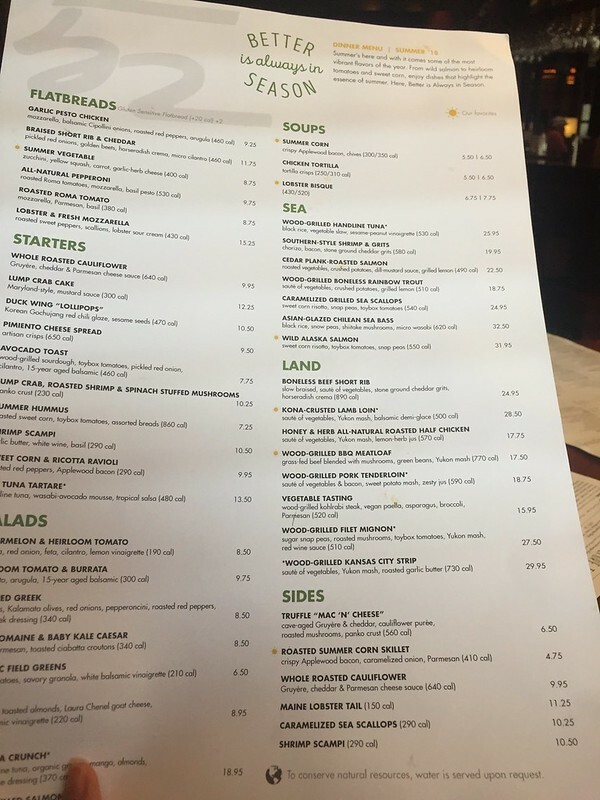 Check out the happy hour menu (above) and the regular menu (below). 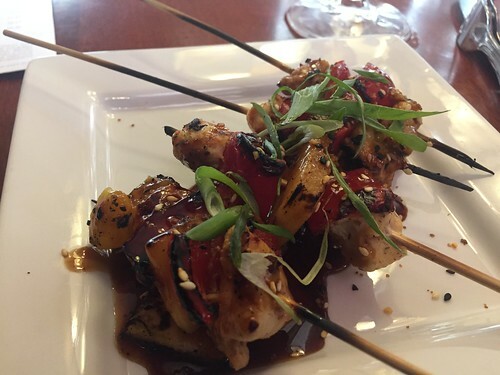 These are the grilled chicken yakitori skewers. They were amazing and the best part is they’re less than 350 calories! 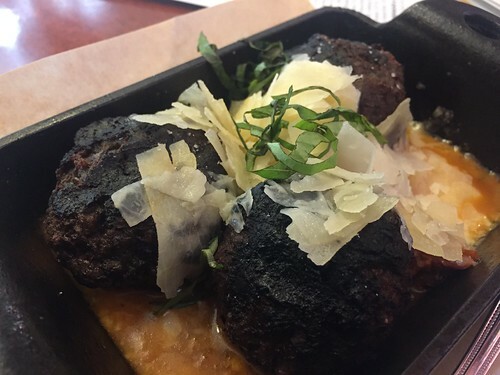 These are the wood-grilled meatballs. Slightly more calories but also very good. 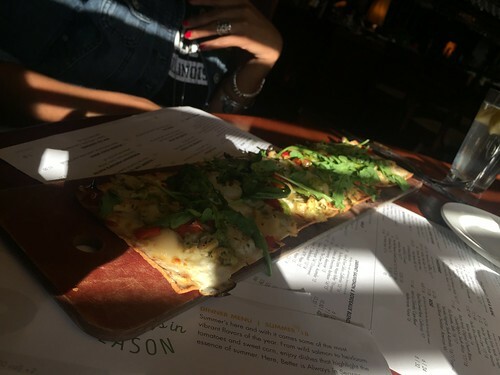 Here’s a picture of the flatbread pizza. You’d think it would be tiny considering you’re practically getting it for free during happy hour, but it’s actually a decent size. I think this is the garlic pesto chicken. 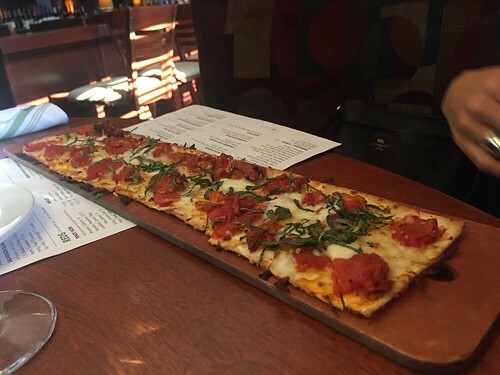 I think this one is the roasted roma tomato flatbread. 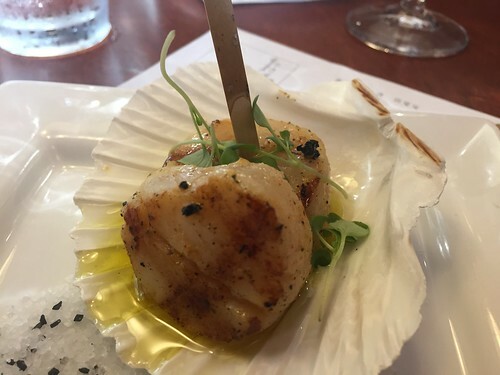 These are the caramelized grilled sea scallops, which is also part of the $5 menu amazingly enough. I can’t believe I didn’t know about this place before. Had I known about this place sooner, I probably would have made it a point to visit several times. 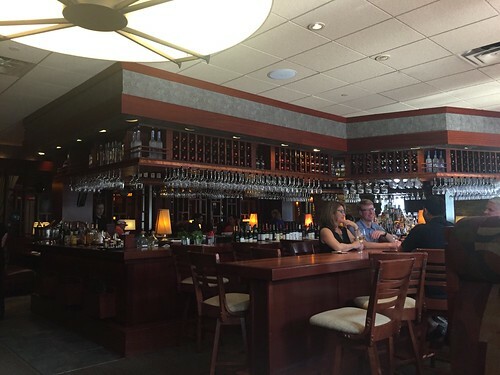 The food was delicious and really inexpensive during happy hour. 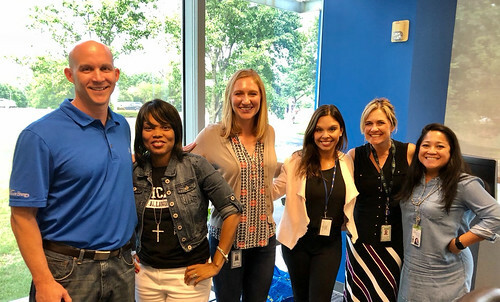 Here are a few pictures of me with my Communications Hub teammates. These guys are so fun. I miss them already! Until next time. GNG.